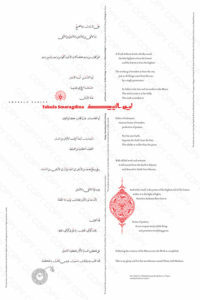 The Emerald Tablet is a collection of new translations of the earliest extant Arabic and Latin versions with accompanying essay and commentary by Brian Cotnoir. 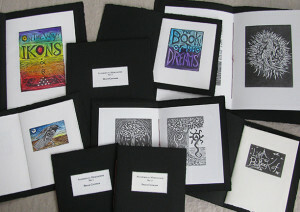 Limited editions of 29 leather and 71 silk each numbered and signed by the author. The Emerald Tablet presented here appears in my Emerald Tablet an accordion book in limited editions of leather and silk. 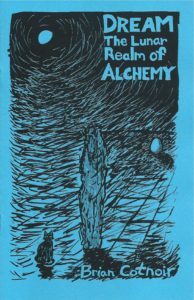 The translations will also appear in my book Alchemy:The Poetry of Matter. The text is from Kitab Sirr al-Khaliqah by pseudo-Apollonius of Tyana, edited by Ursula Wasserman. It is a 12″x18″ polymer plate print in two colors. The paper is 300gr Magnani. 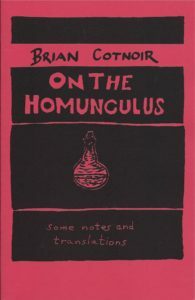 Limited edition of 103 numbered and signed by the translator Brian Cotnoir. 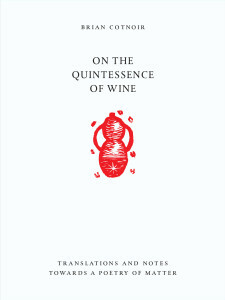 Through the myth and poetry of wine, and working from primary sources such as De Consideratione Quintae Essentie by John of Rupescissa, Marsilio Ficino’s De vita libri tres, and Arnold of Villanova’s Liber de Vinis, this monograph traces the philosophical development and techniques for isolating and using the quintessence in medicinal preparations. Instructions are given on how to obtain this quintessence and its uses, along with two of the earliest processes for making an aurum potabile. A nearly wordless consideration of alchemical theory and practice. Meditations is a limited edition series of linoleum block images – results from and expression of alchemical process and theory. A series of images that started in 1971 and somewhat resolved in 2008 -2014. Limited Editions of 59 B&W and 11 hand colored each numbered and signed. 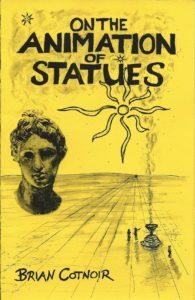 On the Homunculus, Dream:The Lunar Realm of Alchemy, and On the Animations of Statues. Makes Alchemy a viable and valuable modality that can be used for understanding and working in concert with the energies of Nature for spiritual development, healing, and transformation. Alchemy the ascent of the soul and reflected in the structure of this work. From concrete to abstract to authentic beauty.